Looking to locate your business processes in Ireland? Are you looking for efficient, innovative and productive workers? If so, then Ireland is the ideal location for your business. 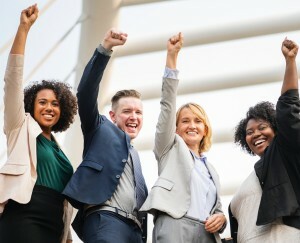 According to a report from the Organisation for Economic Co-Operation and Development, Irish workers have now been officially ranked the most productive workers in the world! Irish workers are adding an average of €87 to the value of the economy every hour they work. In fact, Ireland’s rate is significantly greater than its biggest trading partners like the United States and the United Kingdom. The CSO found that the overall labour productivity in Ireland increased by an annual average of 4.5% from 2000-2016. In 2015, productivity increased significantly, shooting up to 23.5% compared to previous years. Productivity spiked in Ireland in these years due to the high concentration of multinationals locating in Ireland. As the number of Multinationals in Ireland increased, labour productivity increased simultaneously, therefore securing Ireland in the top position at the global rankings. Despite being in an era where there is a huge emphasis and focus on the use of automated technology and artificial intelligence, it is quite reassuring to note that Irish workers are top of the table in terms of productivity. These impressive productivity statistics should reassure any multinational corporation, that Ireland is an excellent location to do business in and that Irish workers are among the hard-working and competent in the world. Not only does Ireland have the most productive workforce but there are other factors that make Ireland an attractive place for foreign companies to conduct business here. Ireland has also been ranked first in the world for flexibility and adaptability of skilled labour. Similarly, Ireland also has one of the best-educated, knowledgeable, vibrant and innovative workforce’s.